This stunning ring has been handmade in platinum to Alan's design. 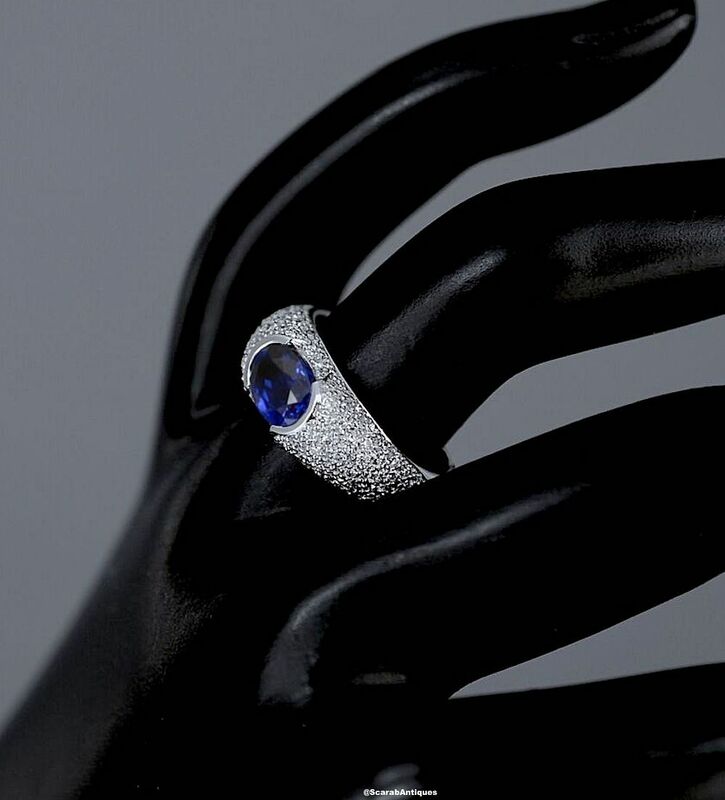 Set down in the centre of the slightly domed ring is a fine oval sapphire with 104 small round diamonds grain set around it and down the shoulders that lead to a tapering platinum shank. The ring has been hallmarked by the London Assay Office for platinum & 2105 and bears the sponsor's mark "A&SP" for Alan & Sue Poultney. 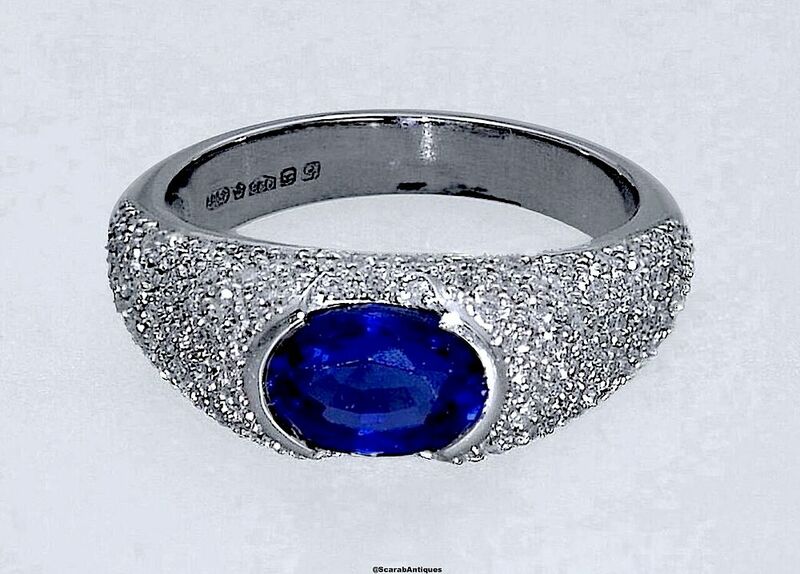 This is a beautiful elegant ring.